A Facebook Business Page is a free opportunity for businesses to increase brand awareness and generate sales on Facebook. 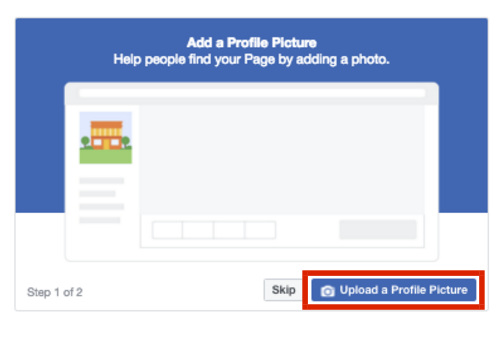 To create a Facebook Business Page, simply log into your personal Facebook account, click “Create a Page” from the drop-down menu, and then follow the steps to build out your business profile. While learning how to create a basic Facebook Business Page is simple, it can be a challenge to set up your page optimally and manage it on an ongoing basis. Try using Fiverr to find a freelancer who can help you develop your Facebook Business Page, create custom content to engage potential customers, and maintain your Facebook page so you can focus on running your business. Click here to browse freelancers. Facebook business pages are created using a personal Facebook account, so you’ll need to first log in to your Facebook account. In the right-hand side of the blue toolbar, find and click the “Create” button. 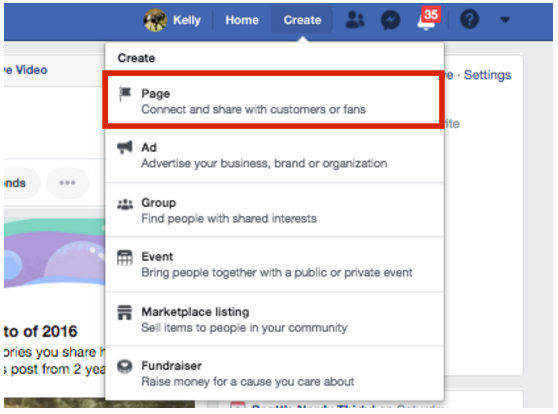 A drop-down list will appear after clicking “Create.” Select the first option, “Page,” to create your Facebook Business Page. You will have the option between two page categories—a “Business or Brand” or “Community or Public Figure.” Most for-profit businesses will want to choose Business or Brand. Tell Facebook what you want the name of your business page to be. This should be the same as your actual business name. Then, choose a business category that best represents what your business offers. For example, a clothing brand could enter “Clothing,” which will then pre-populate a list of related options for you to choose from. Next, choose a photo to upload as your business page profile picture. Businesses commonly use their logo as a profile picture, but you may use any photo that represents your business and your business’ branding. Be sure that your image is clear and doesn’t get cropped. If you don’t already have an image in mind that you’d like to use, or are in need of a new one, it’s worth checking Fiverr. There you can find freelance experts who can design a professional profile picture for you, whether it’s a logo another image, at an affordable price. Click here to browse freelancers. Next, consider uploading a cover photo. 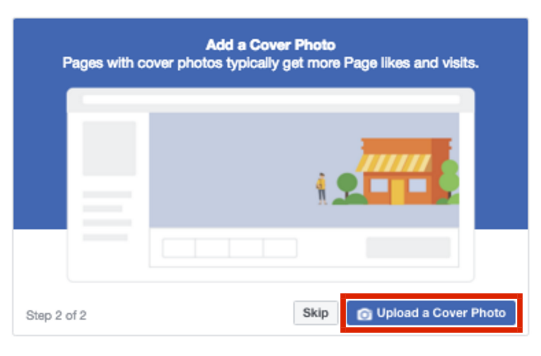 A cover photo is the background image that appears on your Facebook Business Page, similar to your personal Facebook account. You want your cover photo to be visually appealing and representative of your business. Your cover photo should be at least 400 pixels wide by 150 pixels tall. If you are having trouble finding a cover image, you can create one for free using Canva. It includes many Facebook cover templates that you can easily customize without any graphic design skills or knowledge. 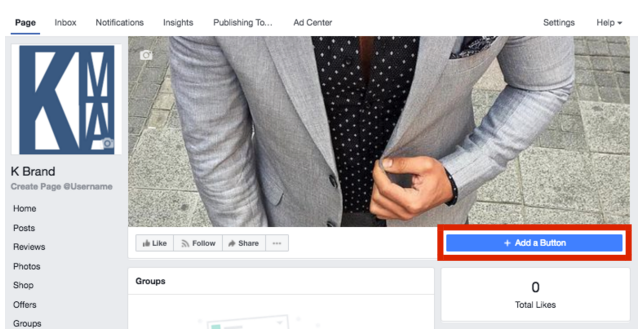 Facebook will prompt you to invite your current Facebook friends from your personal account to like your new business page. Existing Facebook friends can provide a good initial base of likes for a new Facebook Business Page, so it is advised to go ahead and do this. Either click the pop-up prompt, or invite friends from your “…” button from your business page as illustrated below. In the left-hand menu, find and select “About.” This is where you will input information that tells readers about your business, from ways to contact you to your products or menu. 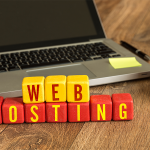 Enter all pertinent information, such as your website, hours, and contact information. It’s not uncommon for a business’ Facebook page to rank higher in organic search than their website, given Facebook’s domain authority. Keeping this in mind, it’s important to complete all information, as it may be a potential customer’s first point of reference for your business. 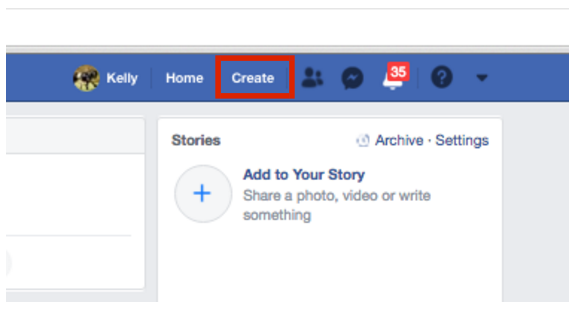 After you have input all of your important information into your Facebook business page, you will want to add a button to your page, which will appear in the top right-hand of your business page below your cover photo. This acts as your Facebook page’s call-to-action (CTA) and is free to use. Including a relevant one to your business can help generate more leads, and in return, increase sales. To do this, click the blue “+ Add a Button” option on the left-hand side of your page below your cover image. You can choose from the following types of buttons: Book with You, Contact You, Learn More, Shop, or Download. Select the button type that best suits your business. For example, a hair salon would likely want to use the Book with You option, whereas a brand selling products would find the Shop option a better fit. Creating a Facebook Business Page is only the first step to marketing your business on Facebook. You will need to be active on Facebook in order to market your page and grow an audience. For example, you will not only want to be consistent in posting on your page, but you will also want to actively participate in relevant groups where your target audience is likely spending their time. For a Facebook business page to serve as an effective marketing channel for your business, you will need to market your page. You can do this by taking advantage of Facebook opportunities from Facebook Ads to getting your name out there by participating in relevant Facebook groups. Be sure your Facebook business page links to your website. You can do this a number of ways, from including your URL in the About section to adding a button to your page that links to your site. 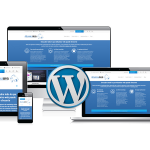 You can also post content on your page with links to your website. If you need help setting up these section, a company like Hibu can provide personalized service with a focus on maximizing your Facebook ROI. They’re an official Facebook Marketing Partner, a designation only earned by tried-and-true companies that meet Facebook’s highest standards. Click here to reach out to one of their representatives. 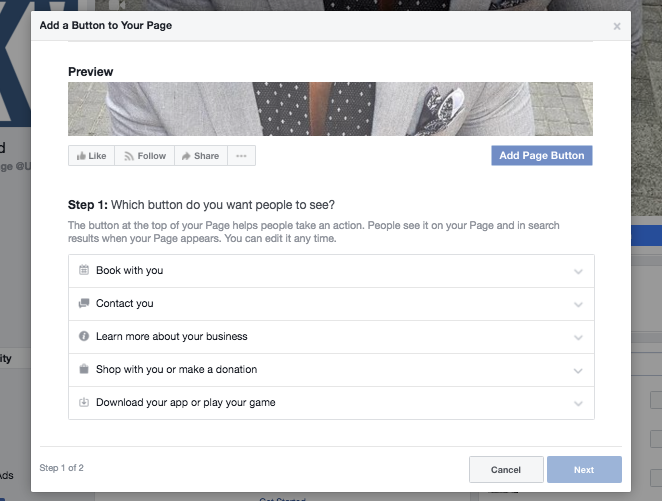 Once you create a Facebook business page, you’re all set to advertise on Facebook. Facebook advertising is not only an affordable advertising platform where you only pay for the clicks your ad receives, but it is also unique because you can target an extremely specific audience through sophisticated ad targeting. Your ads are shown to precisely the people you need to reach, giving you the opportunity to land in front of the right people. If you are producing great posts and content on your page, another option is to use Facebook Sponsored Posts, which is a form of advertising that will put your post in front of your target audience. It is a very easy and cost-effective way of having your Facebook posts reach users outside of your Facebook network. Ranking on the first page of Google search results can be difficult for small business websites. The good news is that having your business listed on Facebook (and other online directories like Yelp and Google My Business) increases your chance of your business ranking high in search results. To learn more, read our full guide on how to rank on Google. If done right, you can also see results from marketing your Facebook page without having to pay a dime. You can do this by sharing content like videos, blog posts, and images that will garner your audience’s attention. We have an article on how to get free Facebook likes that will teach you what types of posts will get you more fans. If you own a seasonal shop like a food truck or pop-up shop, and you don’t have a separate business website, you can also use your Facebook page as your main online presence. When people like your page, you can tell them what’s new with your business, share interesting articles you think they would enjoy, and respond to their posts on your page. Remember to regularly respond to comments and questions from your followers and build a relationship with them. This is a great platform for a local business that relies on local patrons to keep their business booming. Facebook groups can be a great opportunity for businesses to increase their exposure and build brand awareness. 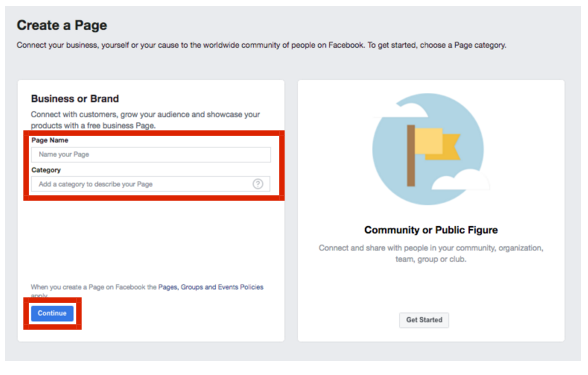 Find relevant Facebook groups and actively participate in them. Keep in mind that your participation should generally be with the goal of connecting with new people and helping others, not offering a sales pitch, so refrain from using it as a platform for selling your product or service. Optimization involves changing one element of your Facebook page at a time to test the performance of the change. For example, you may change different aspects of your business page from your profile picture or cover photo to the type of call-to-action button you use. It’s beneficial to optimize this way because it leads to higher engagement, following, and ultimately, sales. 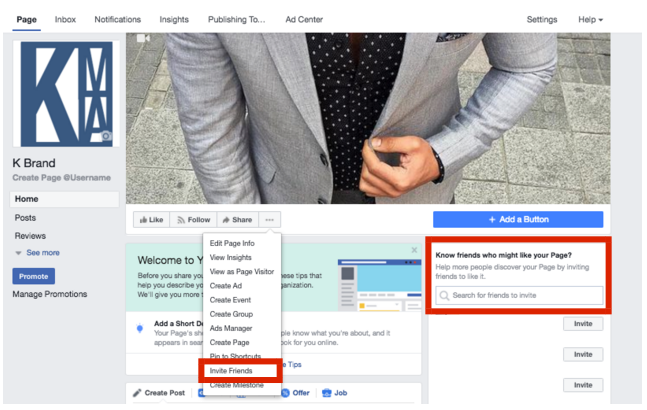 Optimization also help your Facebook business page in the short-term as users are notified when you update your profile, making your page appear in their news feed. Gauge performance by tracking likes, views, and interactions of the posts you’ve optimized. For example, if your previous profile picture had 82 likes and 12 comments, but your new one gets 140 likes and 23 comments in its first month, you can assume the newer image is better. Another good way to do this is by using heatmap software to track how and where users engage on your Facebook business page. Hotjar is a great heatmap tool with a free forever plan that can be used to track what users do on your Facebook business page. How Can I Get More Likes on My Facebook Business Page? There are a number of ways to generate likes on your Facebook business page, from sharing great content to actively participating in Facebook groups. Learn more ways in our article on how to get more Facebook likes. How Do I Get My Facebook Business Page Verified? Getting a Facebook business page verified is simple. Go to “Settings” and click “General.” Select “Page Visibility” and click “Edit.” Choose the option to “Verify this Page.” Enter a publicly-listed phone number for the business, as well as your country and language. Choose “Call Me Now” and Facebook will call your business’ public number with a verification code. Enter that code into the screen and click “Continue” to complete the verification process. How Can I Engage My Facebook Followers? To start, make sure you are putting out consistently good content that is timely and relevant to your audience, and replying to comments and messages quickly. From there, home in on the best time to post, looking at engagement levels by days and times. Encourage comments by asking your audience questions in your posts, and incentivize post shares. What Are the Top Tips for Marketing My Business on Facebook? There are a number of great tips to keep in mind when using Facebook as a marketing channel for your business. These can include anything from learning when the best time to create a post is to managing a Facebook group or leveraging fans. See our complete list of the top 40 Facebook marketing tips. Facebook advertising costs vary greatly from advertiser to advertiser, with CPCs ranging from as little as $0.20 to over $5. Facebook is typically regarded as an affordable advertising platform that can fit nearly any businesses budget. Get more details on how much Facebook advertising costs. A Facebook business page gives businesses a professional presence on Facebook that allows them to connect with customers on a personal level as well as reach new ones. It is free to create and a very easy to set up. Once you complete the steps in this guide, your Facebook business should be ready to start bringing more business in. 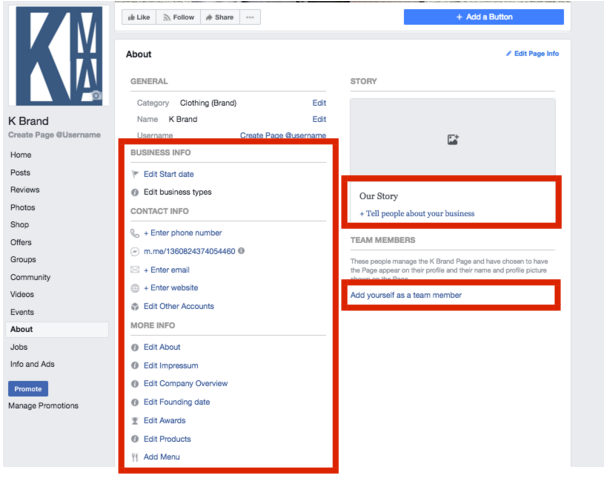 Creating a Facebook business page is pretty straightforward. However, it can still be wise to outsource to the experts by hiring someone who is a digital marketing pro from Fiverr. This ensures your Facebook page is set up for success and gives you a good starting point for marketing your business on Facebook while not spending too much. Click here to browse freelancers. Am I permitted to put photos with prices on my fb business page? It said something about selling for free on marketplace. I don’t sell online as yet, only from local brick and mortar shop. You can sell on Facebook for free by listing products — including images and prices — on your business page and in the Facebook marketplace. If you have your own website, you can also link your products for sale on your business page using the Facebook Shop feature. Here’s a guide that shows you how that works. I hope this helps, good luck! I’m a mobile notary and do not want my home address listed…is there any way around this for businesses such as mine? You might consider signing up for a virtual office space that will provide you with a real address. What do you mean by boost a post? What is the charge for that? Boosted posts are regular Facebook posts that allow you to pay for increased and targeted audience reach. It’s a type of paid advertising that appears more native in readers’ Facebook feeds. Ads can appear in different sponsored presentations. There’s really no set “right amount” for small business Facebook advertising, If you can craft very shareable content, you can garner more attention with little expense. However, boosted posts and ads can cost as little as $10 to $20 to reach a large audience, and can help you build an audience and reach targeted Facebook users faster than an organic approach. You really just have to get started with a conservative budget and test different types of posts to see what works best for you. Hope this helps, good luck! What if you don’t have a physical address for your business. I am a personal chef and prepare meals for clients in their home. Thank you. You don’t need a physical address for a business page. If you have a physical store, entering that helps for a quick map search, but it’s not required to create a business page for services, which is what you provide. Hope this helps, good luck. How can I change the page category? 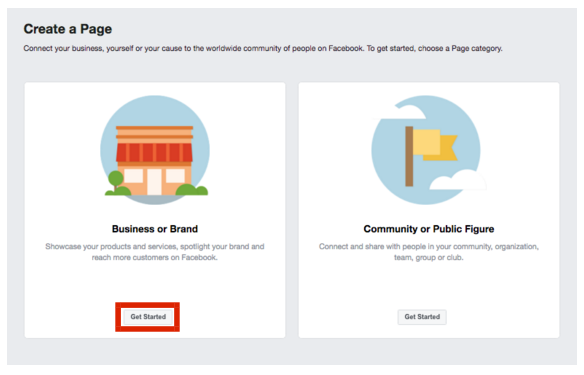 Here’s Facebook’s how-to instructions for changing your page’s category. Hope this helps, good luck! Get a Professional Facebook Page for $5!